Where would knitting be without the eyelet? 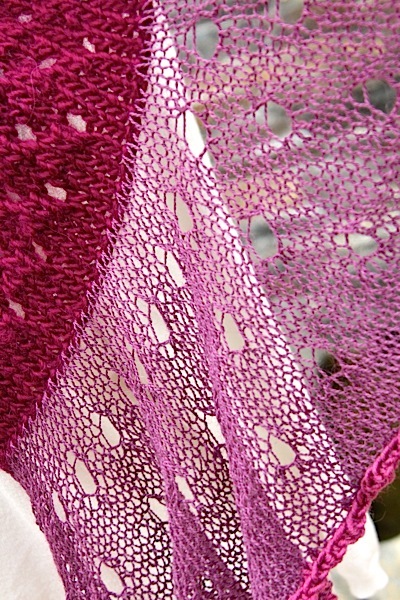 From exquisite lace patterns to the simplest stitch patterns, eyelets are a foundation of knitting design. Typically a yarn over, eyelets can be used as an increase or paired with a decrease to maintain stitch count. So, how do you knit the perfect single eyelet? One that has good structure that doesn’t highlight the k2tog it hangs out with. Where should the yarn over sit – to the left or right of the decrease? And which of these four combinations works the best. Grab some needles, some smooth well-defined yarn and let’s play. Cast on 20 stitches for a swatch with 16 working stitches and a 2 stitch garter edge on each side. Knit 2 rows, then several in stockinette and ending on a WSR. First of all, the k2tog decrease always looks better than ssk or skp. It’s neater and works more naturally in the knit fabric. And, since the k2tog already leans to the right, the adding the yo afterwards just pushes it over more. In this case, we want to a more vertical decrease so it looks more like the other knit stitches it’s hanging out with. Tomorrow we’ll finish up the experiment, so don’t rip that swatch out quite yet. You’ll want to compare the new eyelets to the traditional ones. For those of you to whom this seems too obvious, don’t worry, tomorrow we are adding a new twist. 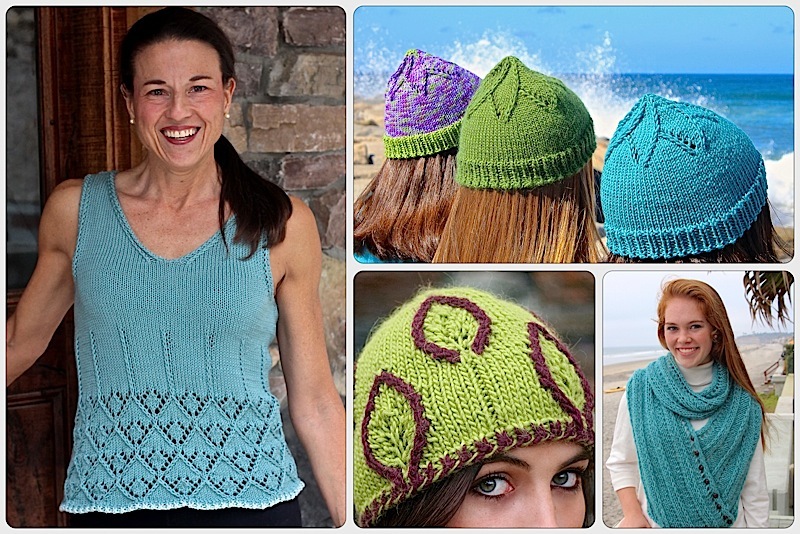 This entry was posted on November 5, 2013 by Laura Cunitz in Nuances, Other Nuances and tagged eyelets, knitting.